Pre Ernie Ball style winding. Both coils have DC resistance slightly less than 4Kohm. Alnico5 rod magnets are degaussed to the specific strength to avoid a string pull, it's important especially with the two pickup set. 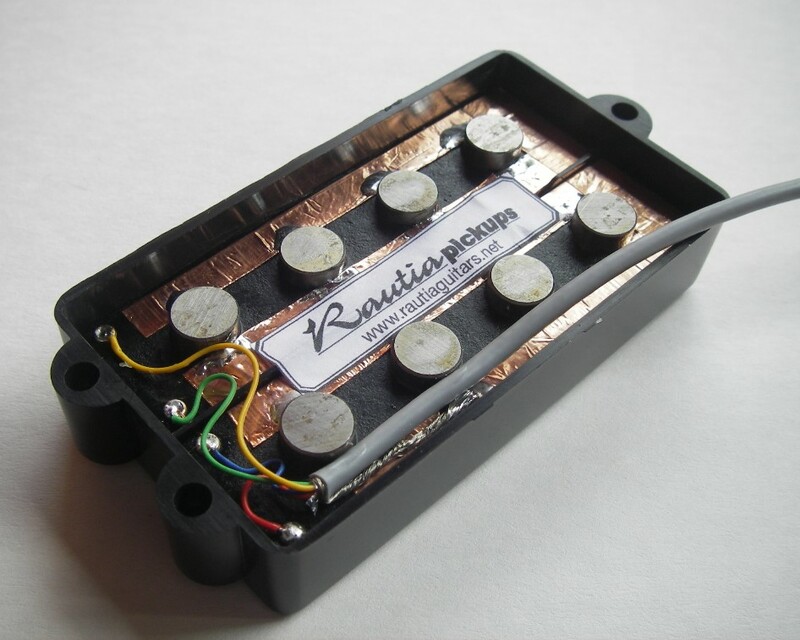 Four conductor shielded wire allows to connect the coils in series, parallel or to use coilsplit. Big and warm humbucking sound. 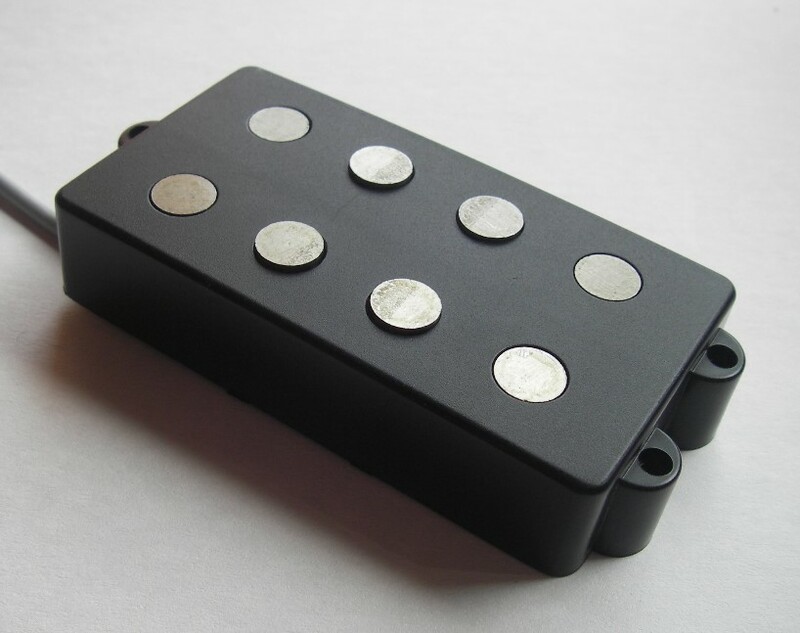 The pickup has a significant role when producing MM Stingray tone. Neck pickup available. Approx. 8% less winding for better pickup balance. 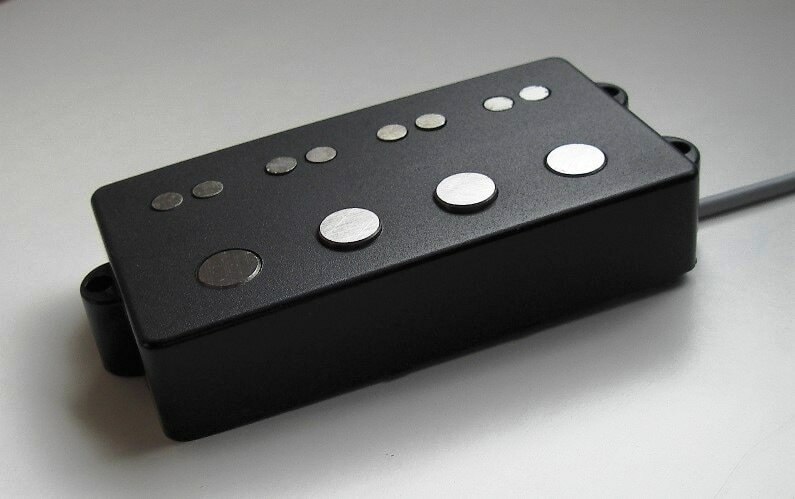 Here's a MM/Jazz Bass pickup hybrid. Can be wired in parallel/series or use the coils individually. 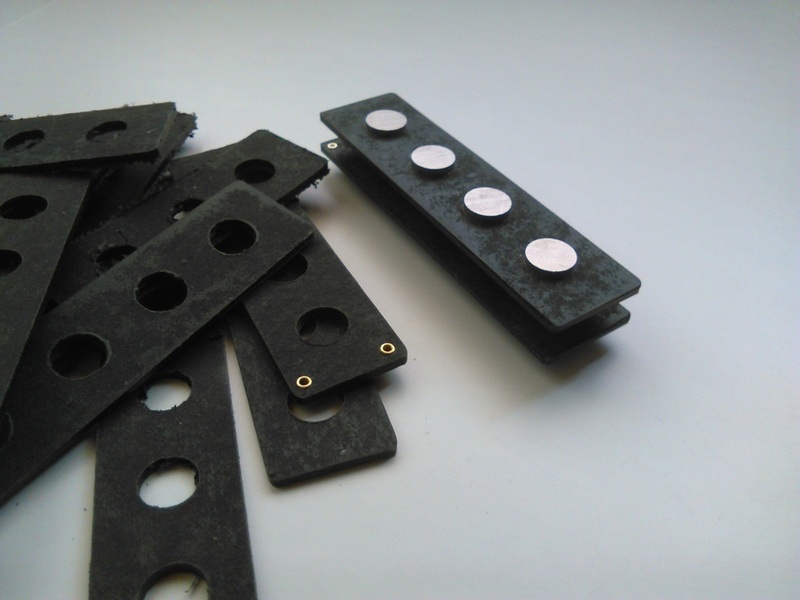 Alnico5 rod magnets are degaussed to the specific strength to avoid a string pull.